∆DEEN! : Cocoa Bella Hypnotizes Me! 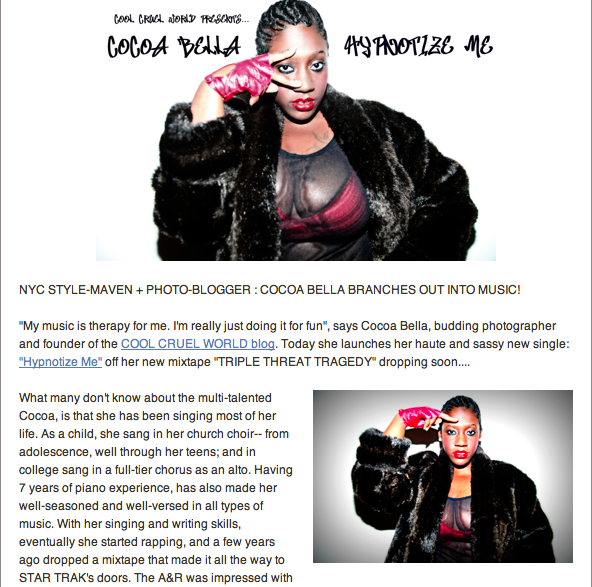 Good friend to ADEEN and I, Cocoa Bella Releases her debut track as a music artist! We are so excited and happy for because we know this is what she loves and wants to do :) You can read more about her here and download the track here!